Butterhead variety. 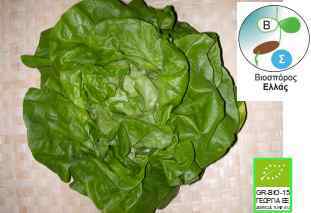 A variety of rapid growth with a medium large head, green. 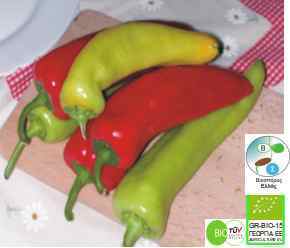 Excellent for growing in autumn, winter and early spring. Sowing in glass house from November to February, and in open field from mid-March to mid-July and from mid-September to mid-October, depending by the conditions and the climate of the area. Harvesting from October to May. Distance: 20 x 25 cm or 25 x 25 cm in greenhouse cultivation, in the field up to 35 x 35 cm, 30-40 cm distance between rows in sowing directly. Seed dosages: 5-10g / 100m2 in nurseries, 15-25g / 100m2 in direct seed.